What an interesing “creature”!! I love your pictures of Caplin and will get your book next, I left you a letter over on myspace but then saw that you haven’t been by since August. Oh well, now that you have these 15 minutes, enjoy the ride! And did you notice who placed a picture of yours with the question “Real or fake”? A guy from Islamic Republic of Iran! You are now world-famous! 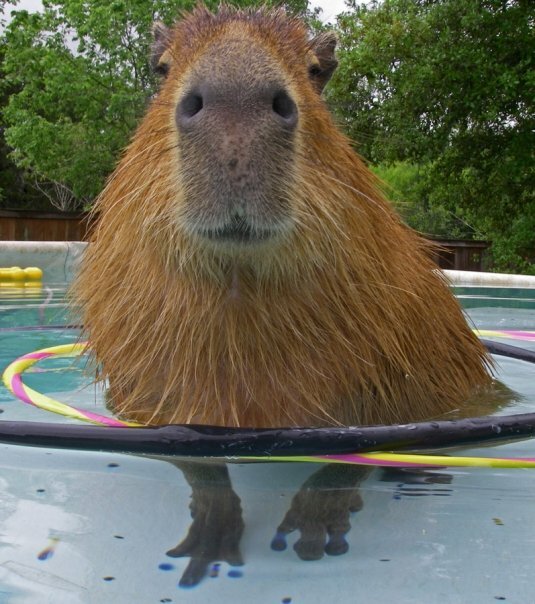 I think that you should get me a Capybara. 1. 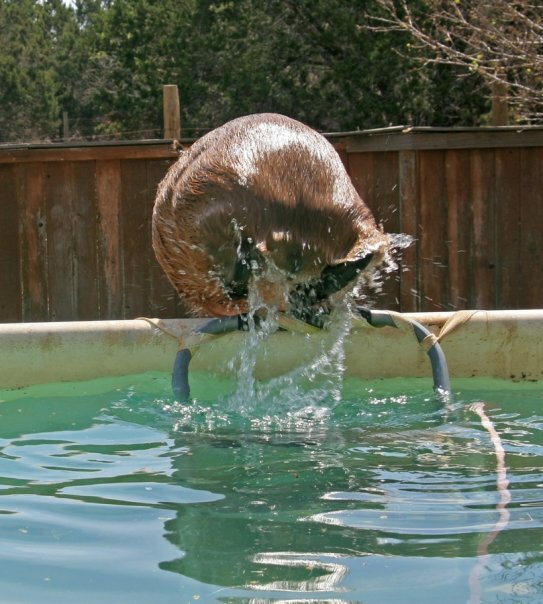 Capybara’s LOVE to swim, like me! It would need a swimming pool so we would have to get a swimming pool. 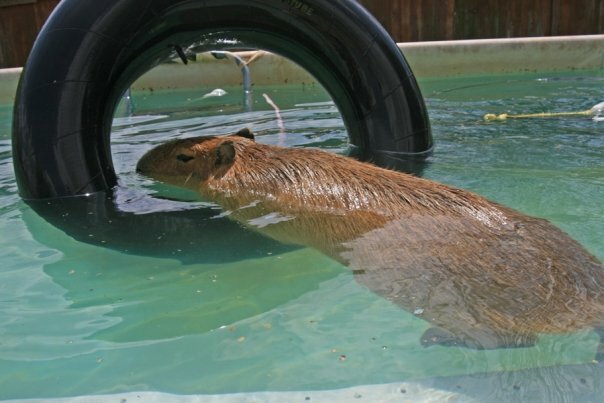 And, if Jake doesn’t like being a boat dog, a Capybara would keep us company when we take the boat to the lake! 3. 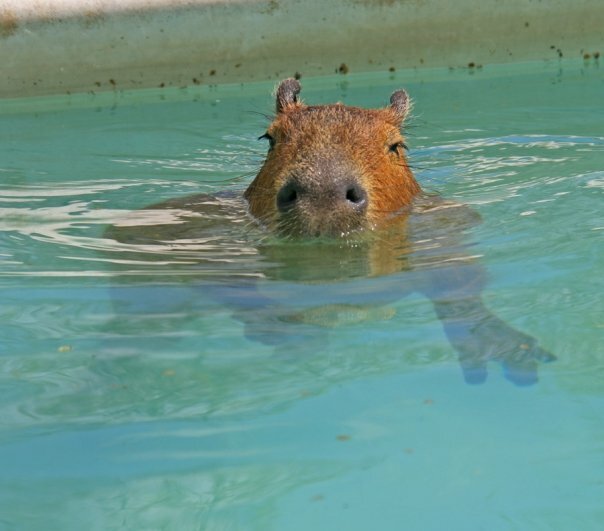 Which brings us to…Capybara’s are awesome, like me! 4. Capybara’s don’t bark, they eep, so it will not wake the neighbors at 3am. The neighbors think we should get a Capybara too. 5. Capybara’s shed less than Jake so if it could jump on the bed there may not be any evidence and you wouldn’t have to get so mad when you get home at night. Our vacuum thinks we should get a Capybara too. 6. Jake needs a little brother. Capybara’s make excellent little brothers. 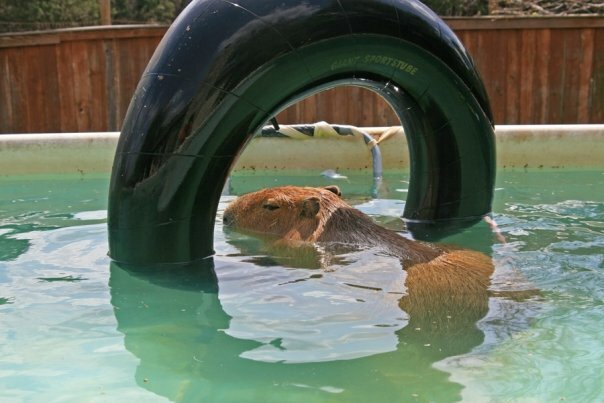 (See Caplin’s blog) So Jake thinks we should get a Capybara too. 7. Capybara’s love to eat grass. Our grass grows 1/2 an inch a day in the spring and summer. We wouldn’t have to mow ever again! 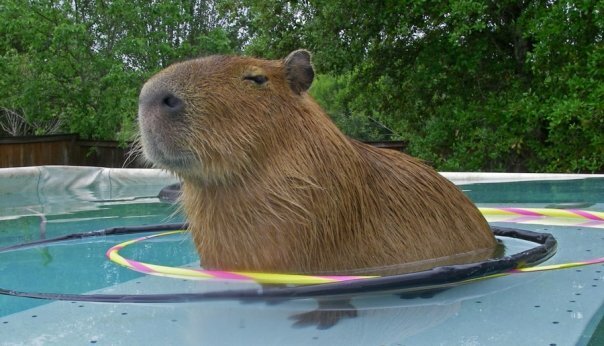 So Brian thinks we should get a Capybara too. 8. Capybara’s have a high cuteness level. Offically they are ‘Dang Cute’ on the cuteness scale. Since Jake is also ‘Dang Cute’ on the cuteness scale, I really feel a Capybara would be a great fit for our family. 9. 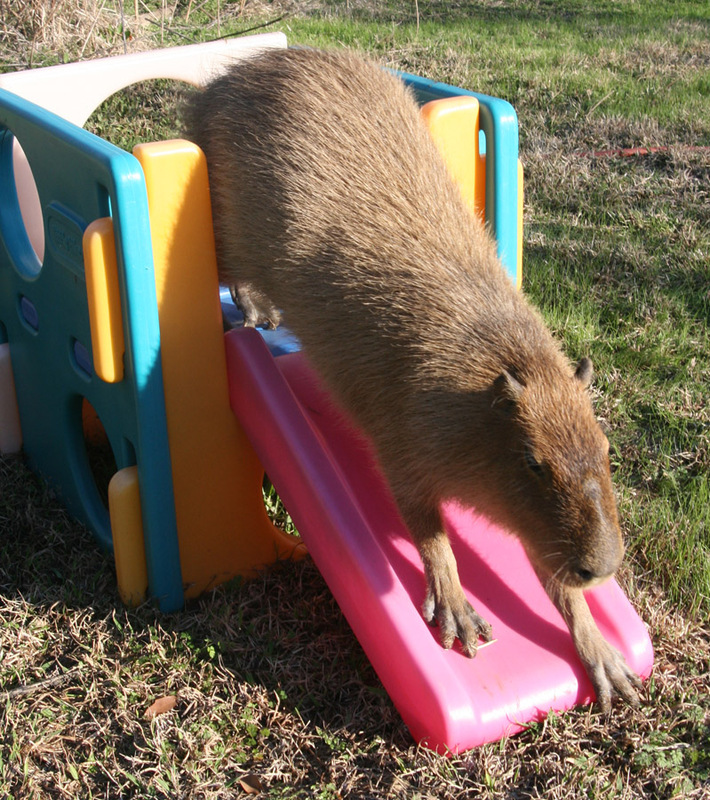 Capybara’s like to go for rides. Since I have two back windows in my car, Jake could have one and the Capybara could have the other. And since Capybara’s don’t bark, you wouldn’t have to get mad at it for barking in your ear when we drive by a kitty, squirrel, stroller, bicycle, skateboarder, McDonalds, hunch backs, little old ladies or within the city limits of Kent! 10. 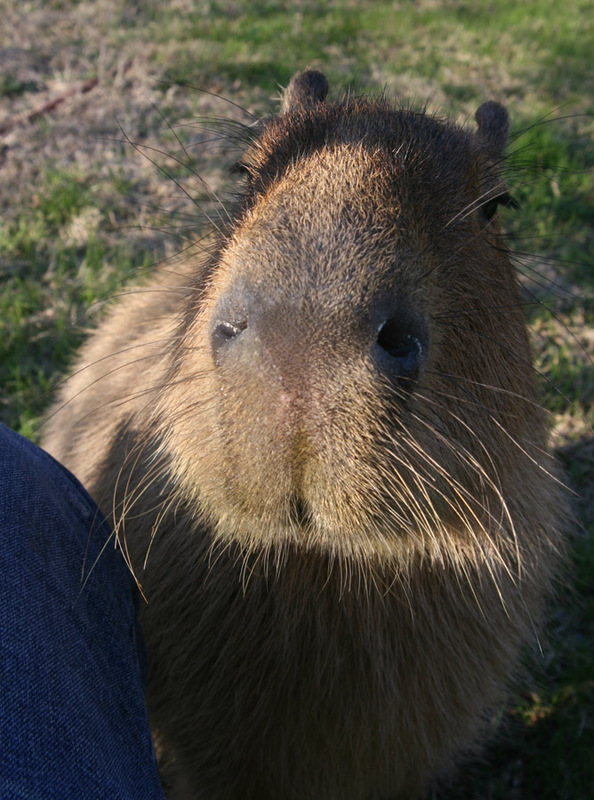 Finally, I think you should get me a Capybara because I will be sad if you don’t. I think its very wrong to support the breeding and domestication of this animal. It is meant to live in Peru in those beautiful wetland areas. Taking it away from its natural habitat and treating it like a dog is so sad. I am sure your pet has a great life, but this is going to encourage so many other to do this that won’t treat it well. This is a real shame. Emma, please read my most recent post, The Wild Life, where I address your belief that life in the wild is somehow magically wonderful. 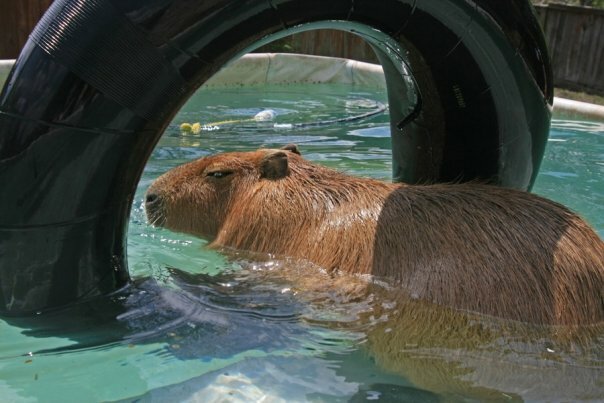 While I agree that it is possible that people will get pet capybaras who do not know how to take care of them or are not willing to put in the effort, I don’t think this blog encourages that. Quite the opposite. Also, capybaras range throughout eastern South America so your assertion that they belong in Peru is a bit restrictive. Emma, please read my latest post, The Wild Life, for a more realistic view of what living in the wild means to capybaras. 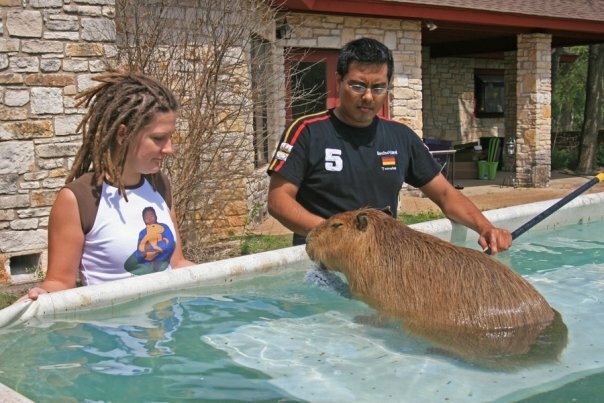 You are probably right that some people will get pet capybaras who do not know how to properly care for them or who simply fail to do so for one reason or another. After all, the same thing happens to dogs, cats and children. However, I do not think this blog encourages that. Since it is our goal to educate people about capybaras, I would say quite the opposite is true. Finally, capybaras range throughout eastern South America and your desire to restrict them to Peru indicates how little you know about them. 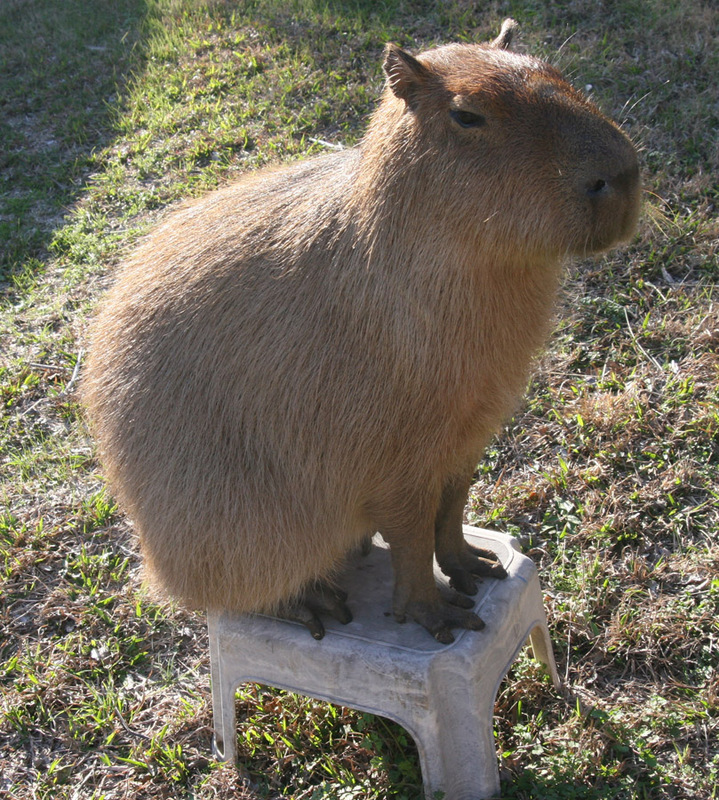 Maybe you should read the rest of the blog, or at least the Wikipedia article on capybaras. In 1999 I had the pleasure of “meeting” several capybaras living in the wild in south-eastern Patagonia (at Cabo dos Bahias, which also has a cool penguin colony). I was told they are quite rare in those parts.